Welcome to Precious Paws, NY! Would you like to have a donation made in someone's name? Please click the "add to cart" button below (a $20 donation is required) and receive a cute flyer with their name. Losing her home through no fault of her own, Libby is about 8 years young. A bit shy, she needs a patient and experienced cat person. Won't you give Libby another chance at forever happiness? Welcome to Precious Paws, Inc. 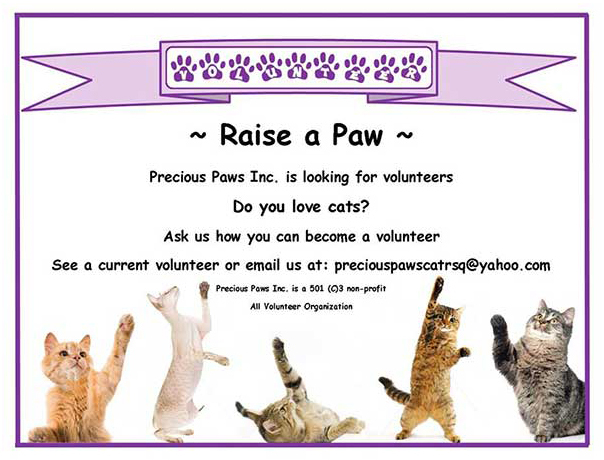 PRECIOUS PAWS, INC. is a no-kill, 501(C)(3) non-profit organization solely staffed by volunteers who are dedicated to the rescue of stray cats and kittens in Orange County, NY. All of our cats are altered, tested for FIV/FeLV, vaccinated, wormed and treated for fleas/mites. All of our kittens have had at least one distemper vaccine, have been tested for FIV/FeLV, and have had at least one worming treatment. All of our kittens will be altered by five months. We will follow up with any kitten adopted prior to altering as agreed upon at the time of adoption. We also follow up with every cat adopted from our organization by phone call or home visit. We also reserve the right to take back any cat if we find that they are being abused, neglected or if the adopter made false statements on their application. Our felines are fully attended to medically, socialized in one of our foster homes and placed for adoption. We do however also have special needs cats, ie animals that are difficult to socialize or are handicapped. If you are interested in saving a little life, please call. We try very hard to match the right feline with the right person. We are also strong advocates of T/N/R(Trap/Neuter/Return) methods for managing feral cat colonies. 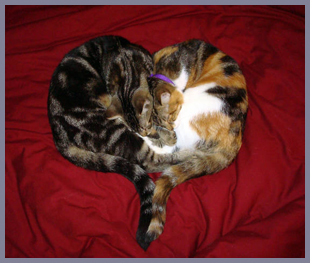 If you would like more info on T/N/R please visit Alley Cat Allies website or e-mail us. We are also in need of monetary donations for our Spay/Neuter Fund and for medical expenses. If you are interested in adopting a cat or kitten, visit us at the Newburgh PetSmart, e-mail us at preciouspawscatrsq@yahoo.com or check our ADOPTIONS page. We thank all of you who help us save so many lives... We can't do it without you!!! We are in desperate need of help! 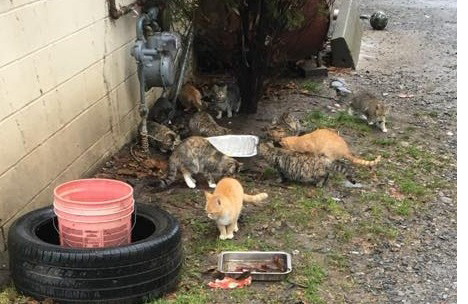 Recently, a cat colony in New Windsor, NY has been brought to our attention. Working with The Canine Sanctuary we are going to try and get this situation under control. Most of these cats are female and we'll need to act fast, spaying them, before the colony gets even larger. Although some of these cats are friendly, others are not and will require socialization. We're going to need volunteers and fosters willing to help us with this. For even just basic care, it will cost upwards of $50 a cat including, spay/neuter/rabies and distemper shots. This does not even begin to cover flea treatments and further testing. Please find it in your hearts to help us get these babies out of the cold, healthy and into a home! All donations towards their care are greatly appreciated and tax deductible. No amount is too small... CLICK HERE to help us help them! Here's a wonderful way to help us!! You can help Precious Paws by shopping on line with iGive. They will donate a percentage of each sale to our rescue efforts. Just click on iGive and register with them (where it says "Join Here"). They will ask you some questions that will be easy to answer. It just takes a minute. By registering at iGive through this website, you will also be adding $5 to us if you shop in the next 45 days online. We're proud members of the Hudson Valley Hour Exchange. Website designed and hosted by Moving Shadows Design and maintained by e-Diner Design & Marketing, Inc.